Almost nine out of 10 patients (87 per cent) who provided feedback following a new pilot initiative said a GP surgery is a suitable place to be asked about Adverse Childhood Experiences (ACEs). Under the pilot initiative, 85 per cent of patients also said it was acceptable to provide information about ACEs to a health practitioner, and four out of five (81 per cent) said it was important for practitioners to understand this information. Just under a third (30 per cent) of general practice patients reported having experienced two or more ACEs, with these patients more likely to engage in health harming behaviours such as smoking and more likely to be currently living with poor mental health. However, for just under 60 per cent of those with ACEs, this initiative represented the first time they had told a professional or service about these experiences. 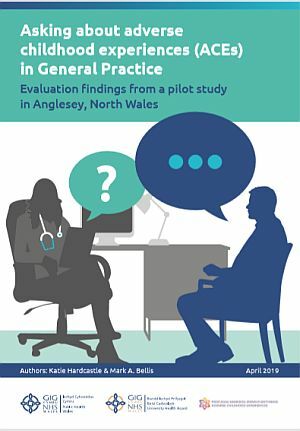 The local pilot initiative, carried out in Anglesey by Betsi Cadwaladr University Health Board, supported by the ACE Support Hub and evaluated by Public Health Wales, provides evidence of public support for questions about ACEs within the context of a supportive relationship with a health professional. ACEs are traumatic experiences that occur before the age of 18. They range from verbal, mental and physical abuse, to being exposed to alcoholism, drug use and domestic violence at home. Global and national research finds that children who experience ACEs are more likely to adopt health-harming and anti-social behaviours as adults, are at much greater risk of poor health throughout life, and may place large demands on healthcare services. “For too many people in Wales, ACEs are still part of childhood and a burden they carry with them throughout their lives. “Public sector organisations across Wales are already working together to reduce the number of children who suffer ACEs. Although more research is needed, GP surgeries may eventually have a role to play in supporting those who have suffered ACEs and mitigating their effects on health and wellbeing. “Although models of ACE enquiry are still in early stages of development, this pilot initiative suggests that the public, rather than being offended or confused by such enquiries, actually support being asked about ACEs in GP surgeries.